At the beginning of the year, my 12 year old niece signed a contract with my sister that states that if she successfully receives good marks for her exams, she will be allowed to attend all the school disco’s. It came as no surprise recently that she was not allowed to attend the latest disco due to low marks because her goals were a tad unrealistic to begin with. But I do feel her pain. Setting my own running goals lately is a challenge. I’m committed to my training and at this stage, my coach has made me run each and every day to build up consistency and a good foundation. But in the back of my mind, I’ve been thinking about my goals and more specifically, the pace I would like to run. I signed up with Coach Dave to run faster than my current 8 minutes per km. But what is my specific goal? What pace am I working towards? Can I run at 7 minutes per km? Or should I be brave and set a goal of 6 minutes per km? You see, this frightens me because I don’t know. I have no idea what I am capable of? I’m worried that I set a goal that is unreachable and unrealistic. 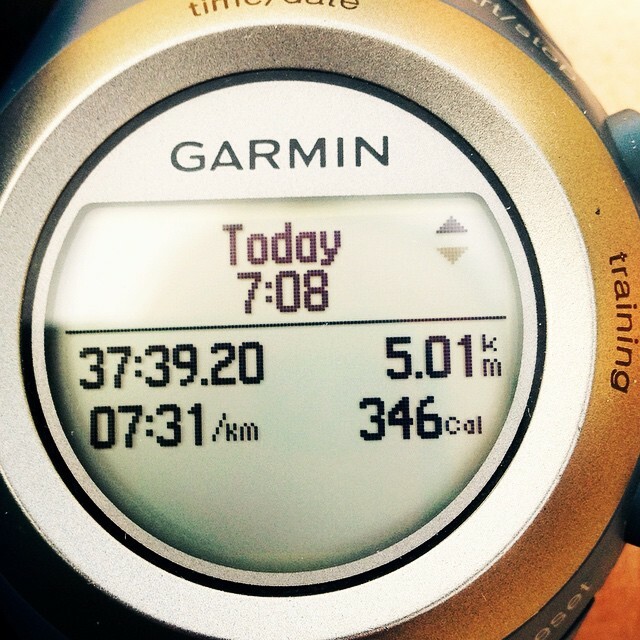 I set a 5km PB (personal best) time on Saturday, but then the next day ran a race at 7:49 mins/km. Huh? 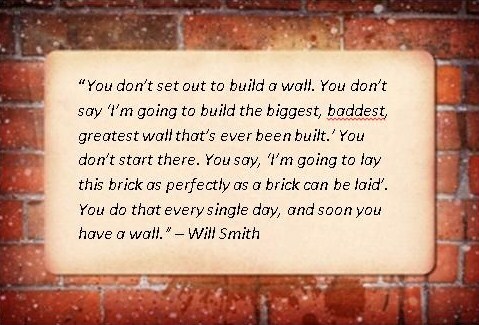 So I went back to one of my favourite blog posts about setting goals posted by Mark Wolff. Bottom line: My goals need to be realistic. Also, to ensure that I don’t get injured and disappointed, I need to accept that reaching my goals will take time, patience and discipline. Don’t skip Monday, Wednesday & Saturday training sessions & give it 110% at every session. Push hard. Run every day (except Friday). As Coach Dave says: Consistency, consistency, consistency. This is all I’m committing to until I feel a bit more confident to set more specific goals. I’ll also be chatting to my niece about her goals and suggesting she might want to re-submit a revised contract if she has any intentions of attending more disco’s. It’s the smaller goals which are achievable that matter more and build up your confidence to set higher goals than having to deal with failures which set you back. This entry was posted in My Goals, My Training and tagged coach dave, dave coetzee, goals, mark wolff, running goals, setting goals, training, training goals by Bo. Bookmark the permalink. I also have good and bad days… and generally a bad day happens the day after an exceptionally good day! I think goals are there to challenge you and push you forward it’s often difficult sticking to goals if they are set so high that they are unattainable. I find if you just keep going not making everything over complicated you’ll be fine;) Just enjoy the fact that you are fit and able to run. The rest will come with time. I was thinking of this today too and realised I needed consistency (I hate walking in summer just can’t handle the heat) and to set a goal that was attainable. And to stop coming up wth excuses and reasons not to exercise!! !